I woke up in twisted sheets, unrested and groggy from a few too many pints the night before. An early celebration of my birthday before departing my hometown of San Diego had me out too late, and feeling out of my element. What was a few weeks of being unemployed between jobs visiting home lumped into what seemed like a few days of the usual. Sleep, surf, look for jobs. Sleep, walk dog, read books, write. See friends, repeat. Drink beer, eat Mexican food. Cycle. Look for jobs. Interview for jobs. Something about the perfect weather and my current existence had me feeling complacent. It was time to head out on an adventure. It was time to head north. Fumbling through my gear and clothes, I threw together cold water and cold weather gear for a camping surf trip. Along with my buddy David who I just completed the John Muir Trail with in September, we would be leaving in a few hours to head up to LA and start our trip. On the way to this year’s Wilderness Risk Management Conference in Portland, Oregon, we decided we wanted to explore the almost mythical rugged northern California and S. Oregon coast lines. After having spent a ton of my life in California’s mountains, as a surfer, I felt like an unfamiliar resident having not explored our state’s northern reaches. 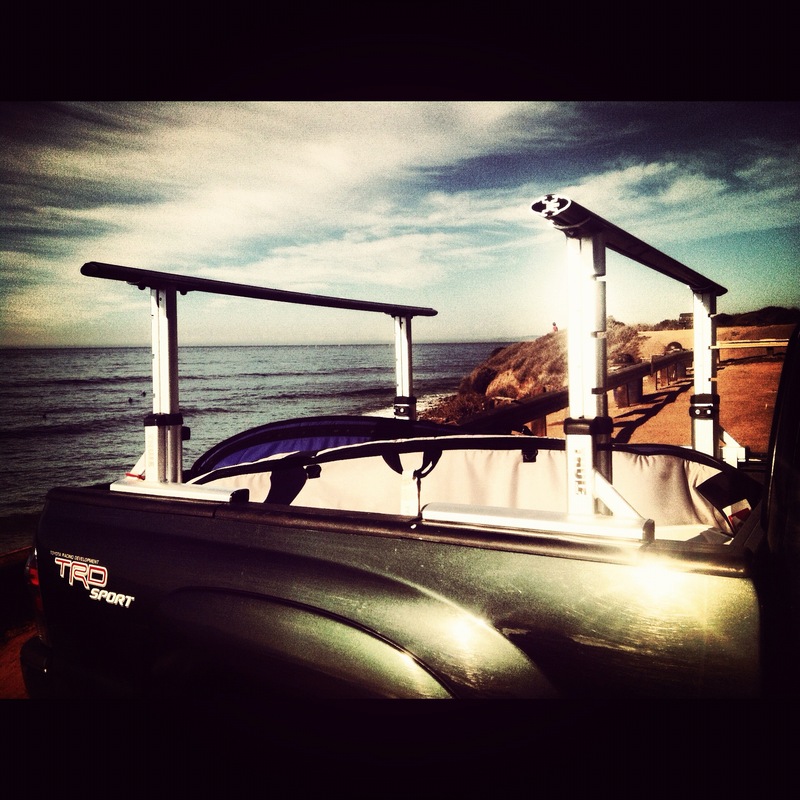 The plan: surf our way up the coast, camp and search for surf. As a native San Diegan, there has always been a lot of mystery about the northern waters. My impression has always been cold, extra-sharky (14′ + Great Whites…), brooding locals, and the heaviest of beach breaks with horror stories of many a surfer being sucked out to sea. A review we read on line of Pt. St. George remarked that surfers are “eaten between meals.” The area north of San Francisco past Marin up to Southern Oregon is known as the “Red Triangle,” supposedly the sharkiest place on Earth. Needless to say, I was worried. After a last North County San Diego surf that was kind of mediocre, we completed the first short leg of our trip up to Manhattan Beach to visit my good friend and old roommate Phil. There, our uncertainties were confirmed when we read the forecast for for Cannon Beach and Pacific City in Southern Oregon. “7 foot wind waves, winds 25-35 knots, swell at 15-19 feet at 14 seconds. Rainy.” Stormy, gnarly, scary…but also exciting. We would be facing some serious adversity to find the waves that we were after. That’s what adventures are all about. It feels good to be dealing with inclement weather, the entirely possible skunking and other challenging real conditions after facing the uncertainty of the job market, fighting for work and trying to find meaning in Southern California. This–being on the road, encountering nature in its pleasant and not-so-pleasant states–is meaning. This is who I am. It is so interesting that we feel more “at home” with ourselves when we are away from a place we call home for so long. The ease of things certainly creates a sort of complacent state of being… I believe this is what drove me to leave. If one sits still for long enough a sort of stagnation sets in, after the stagnation.. the air no longer moves about… the breeze is no longer felt, the wonderment begins to die, what is stagnation but a slow and painful death of sorts. Luckily we have this amazing thing of uncertainty, travel, adventure, misfortunes, and fortunes… we have these opportunities for life in an otherwise stagnate climate. Glad to hear you still breathing Deep. Trying my hardest. How is your life on the Southern continent? I think if I don’t get there soon I’ll start feeling constrained.